Sigelei SM Coil includes 0.4ohm SM2, 0.15ohm SM4 and 0.2ohm SM6 coils. They're compatible with DP/O9/Vi Ictor/Slydr/GLO tanks. 5pcs each pack. Get them as spare parts. • It's for Sigelei DP tank/O9 tank/ST3 Tank/Vi Ictor tank/Slydr M/Fuchai GLO 230 kit/KAOS Spectrum 230W kit/Vcigo K2-T kit. 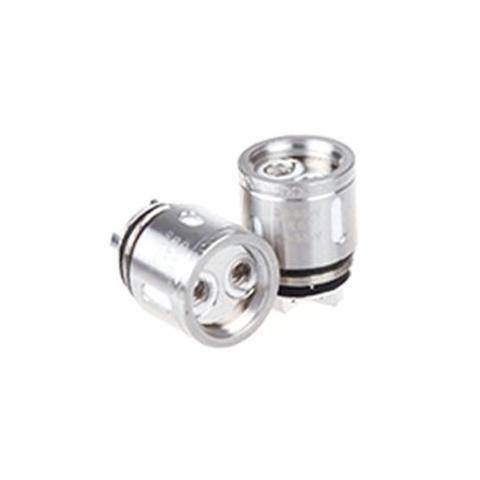 Sigelei SM Coil 5pcs/pack best 40W-55W; SM6 0.2ohm Triple coil: 40W-120W, best 75W-95W.